Game of Thrones’ six seasons of drama and action have amassed a significant body count. While characters of the fantasy series are forced to seek physical revenge for wrongs against them or their loved ones, today’s modern system of law allows victims to pursue financial compensation. In our last blog we discussed the many lawsuits that could be filed against the Stark, Baratheon and Frey families. Read on for part two, chronicling the personal injury caused by even more noble Houses. Olenna Tyrell, matriarch of her House, is a skilled politician. While their actions are not as direct as other families’, the Tyrells have caused their fair share of personal injury. In an event dubbed the Purple Wedding, Olenna Tyrell poisoned the cup of King Joffrey resulting in his gruesome death. Like many of the lawsuits that could be filed throughout the series, House Tyrell’s actions would be classified as torts, malicious attacks made against a plaintiff victim. 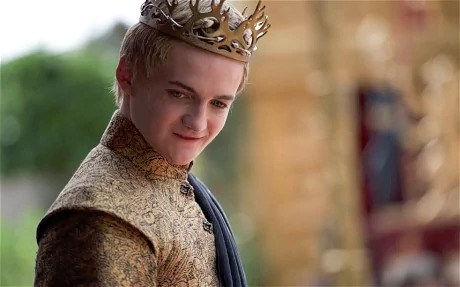 In a court of law Joffrey’s parents and siblings would be well within their legal rights to file personal injury lawsuits demanding compensation. Even if a criminal jury acquitted Olenna, the family could still potentially collect in a civil case. Even in a world known for being particularly violent, many fans of the series consider the Boltons to be the most brutal characters. By allying with the Freys and Lannisters, Roose Bolton and his son Ramsay overthrew the Starks and became Lords of the North. Ramsay’s sadistic nature led to him murdering his father and committing a number of other atrocities, including the continued mental and physical abuse of his bride Sansa Stark. False imprisonment and domestic violence are both classified as intentional torts. Today’s injury attorneys can help victims navigate the civil landscape when leaving a violent situation. Pursuing compensation or damages for injuries sustained during the course of an abusive relationship helps some sufferers achieve a sense of closure. Members of House Lannister are some of the most scheming and violent characters in Game of Thrones, though almost all of their actions are done indirectly. Tywin Lannister is a master strategist who used politics on a global scale to amass power and further his own goals, supposedly for the sake of his family. Just his connections to the Red Wedding and atrocities committed by the Boltons would justify dozens of injury lawsuits filed against him. Cersei Lannister is just as bad as her father, if not worse. Her fanatic concern for her family’s well-being, particularly her children, has led her to commit several crimes. Both her eldest son and daughter were poisoned by political rivals. A modern mother would have been able to bring these cases up to a court of law and would surely be awarded damages for her suffering. Instead, Cersei gathered all of her enemies in one place before killing everyone with a supernatural fireball. If any of her victims’ family members were still alive, they could surely pursue justice through multiple tort lawsuits. Hardy, Wolf & Downing has been helping Maine residents seek compensation in their personal injury cases for more than 40 years. No two cases are identical, however all must meet certain criteria in order to succeed. Our expert attorneys will review your case and will offer honest, straightforward advice about your situation. Contact us today for more information or to schedule a consultation.